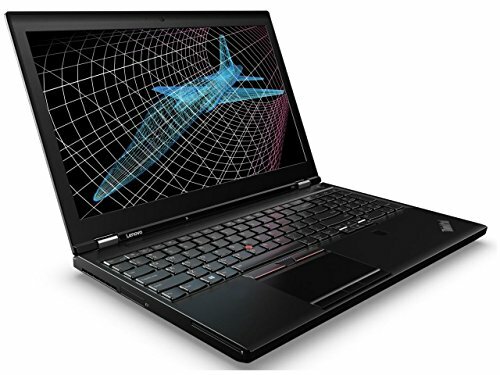 ** Upgraded by Lenovo authorized business partner ** Lenovo Thinkpad P51 LaptopRedefining power in a 15.6\" mobile workstation The Lenovo ThinkPad P51 redefines the concept of power. The excellent processor, improved durability, blazing-fast connection speeds, and unprecedented storage and memory make this workstation your go-to PC for getting the job done. Powerful Performance PC performance has never been faster. Excellent processor with built-in security is designed to take your productivity, creativity, and 3D gaming to the next level. Advanced technology makes enterprise-level manageability even more convenient and efficient. And you can empower yourself and your business to do great things across many devices securely anywhere, with anyone, and at any time. Fitting a variety of budgets, it's also very easy to use. Dazzling Display Choose a display with IPS technology, and get vivid colors and 180-degree viewing angles. Thunderbolt 3 revolutionizes connection technology - simultaneously supporting high-resolution displays and high-performance data devices through a single, compact port. Impressive Features Built-In The Lenovo ThinkPad P51 features Lenovo's amazing keyboard, which is made better with an improved touchpad. Full-sized and spill-resistant, the legendary Lenovo ThinkPad ergonomic keyboard is renowned for its full array of keys, excellent feel, and TrackPoint pointing device. Audio Clarity from Dolby Dolby Home Theater maximizes volume output of the built-in stereo speakers without distortion - enjoy a crisp, clear, immersive surround sound experience with all the power and nuance of the cinema, and all the immediacy of live performance.